We’ve been working for Impress Sandwiches since 2015. 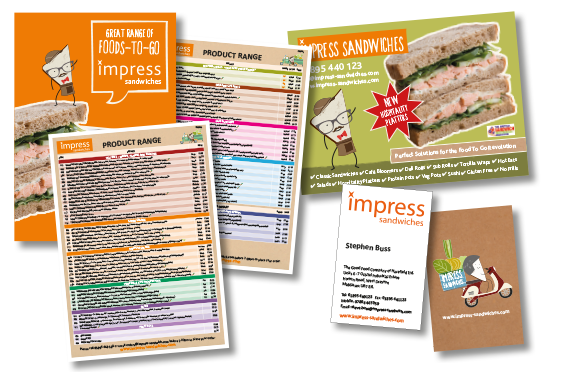 We work closely with their marketing team at Marketing Foods and between us produce adverts, stationery and brochures. Their quirky and colourful ‘Mr Impress’ branding was originally designed by Dirty Design and we use this on the work that we have produced.